Jason was commissioned by the social networking company, LinkedIn, to create this site-specific installation. Completed September 2012. 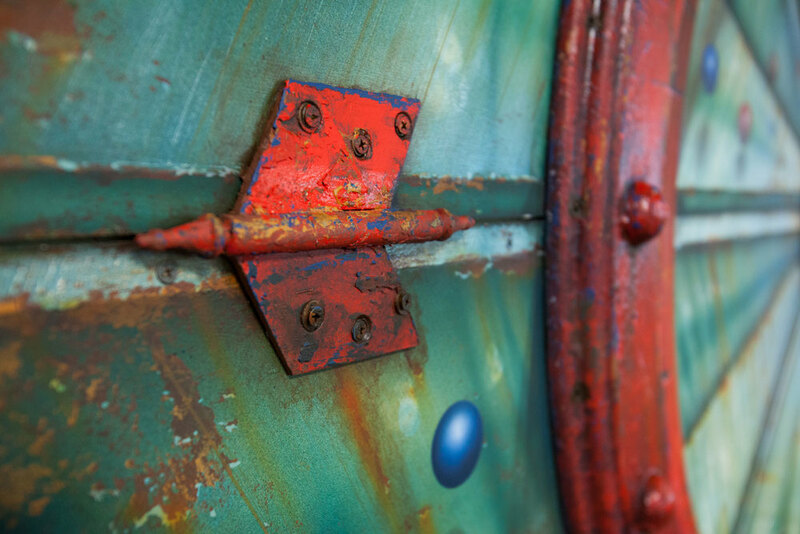 Acrylic, plaster, antique meat grinder plate, antique hinges, other antique hardware, salvaged tabletop, and wood. 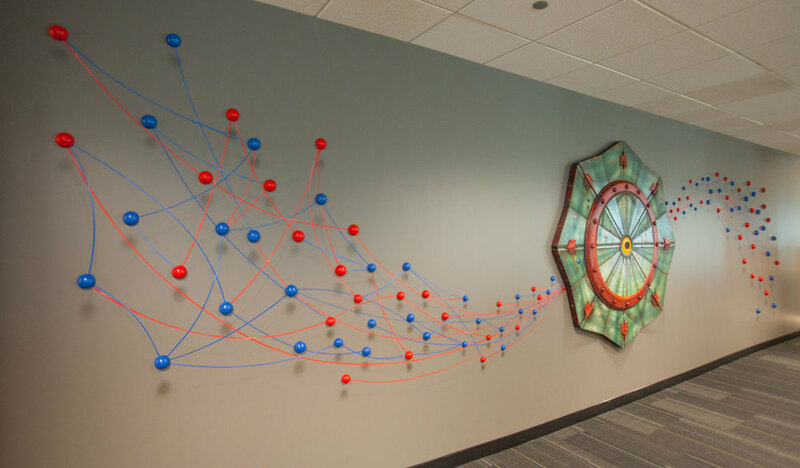 This is a permanent installation on a 27-foot wall inside LinkedIn’s Chicago office. The central painting is 6 feet in diameter. Jason built the structure of the painting by hand, and painted it to give the illusion that it’s folded. 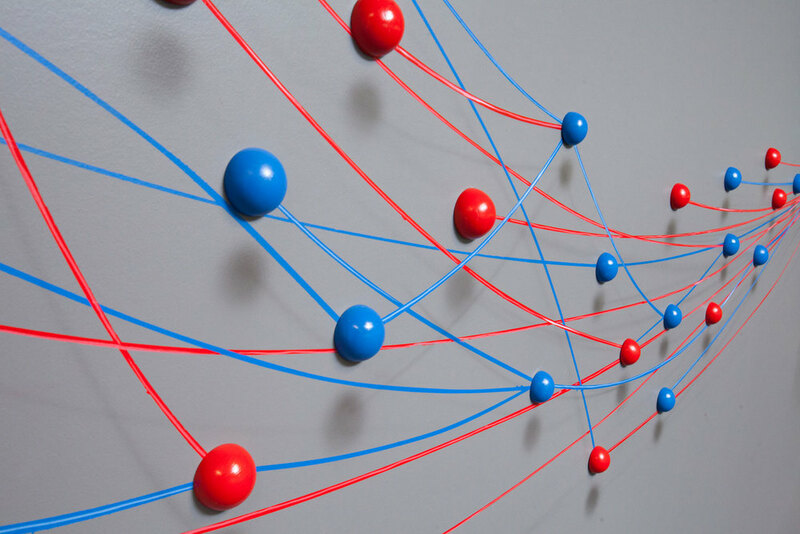 The network of spheres spiraling out of the piece onto the wall are real wood and the connectors are painted. The installation was inspired by Jason’s Axis Mundi series.